I truly love those health blogs and magazines that always claim, “Just eat a piece of fruit if you’re craving sugar! Have some carrots or celery if you want chips!” You and I both know that a few grapes are not going to cut it if you’ve got your eye on those peanut butter cups. Of course, every now and then I find a healthy snack that actually might ward off the chip-craving monster in me. I used to make roasted chickpeas all the time, and I’m not sure why I stopped. They’re flavorful, crunchy, and can be made in tons of different flavor combinations. For this batch, I used some cayenne pepper honey I got from Happy Bee Honey, which has a storefront over at Artegon Marketplace. The owner was very nice, and let us try several different types of honey (I deeply regret not going home with the chocolate hazelnut variety). 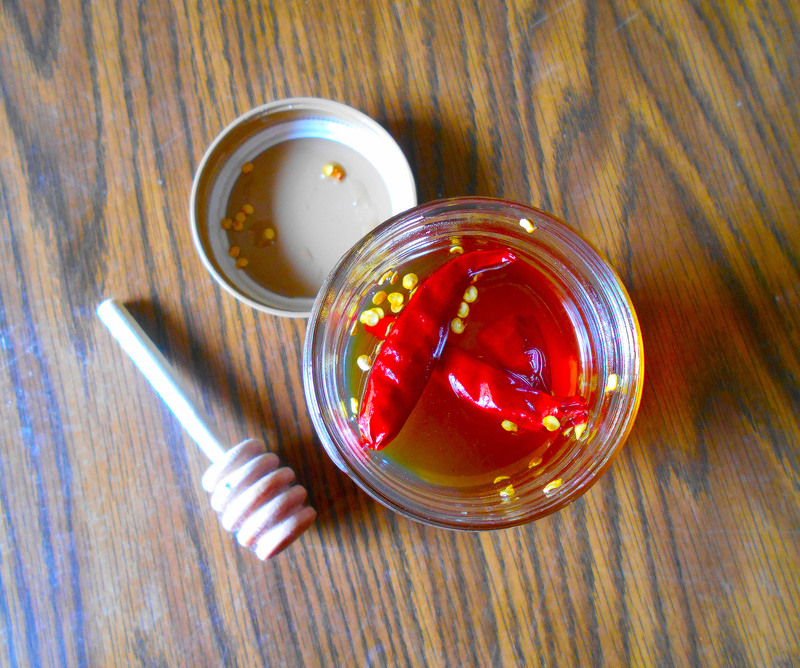 Of course, you always can use regular honey, and just add a little more cayenne. I used three cans of chickpeas, and mixed them up with the honey, about 2-3 tablespoons olive oil, and garlic powder and salt to taste. I also added chili powder and a little more cayenne. 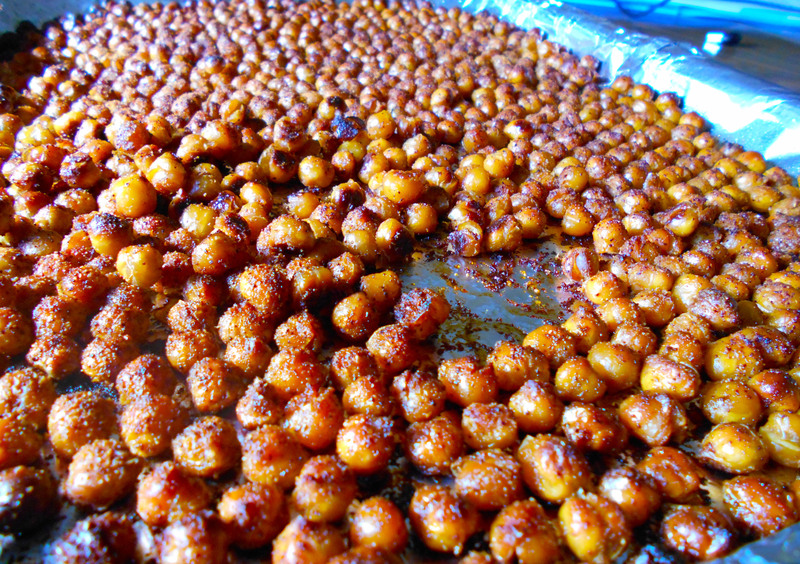 Spread the chickpeas on a foil-lined, greased baking sheet, and bake at 400 F for about 40-50 minutes, until crispy. No complicated instructions here — just a simple, spicy and sweet snack that’s pretty healthy, too!